Game Informer has the story. The multiplayer PC shooter Dirty Bomb has enjoyed ups and downs. 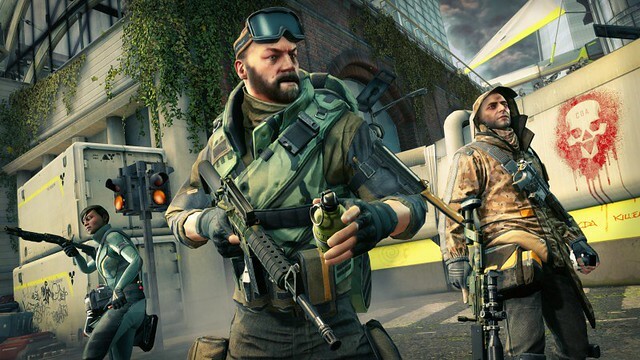 As one of the early success stories of Early Access, Dirty Bomb enjoyed a big enough player base to push it through beta into full release in August 2017. Unfortunately, the player base didn't stick around from the game's height and long-term support has become unfeasible. The game was intended to act as a Games as a Service title with continued development and support. In a post on their website, developer Splash Damage explained why they can't continue working on the game. "After regaining publishing rights for DB nearly two years ago, we staffed up a load of developers and tried our best to deliver a Dirty Bomb experience that would be feature-rich with tons of new content, while maintaining its great gameplay feel & balance," the post reads. "Unfortunately, despite all the added time and resources, there were some challenges we couldn’t overcome, and we were not able to make DB the success that we hoped it could be. The bottom line is that we can’t financially justify continuing to work on the game we love." I played this some awhile back. It wasn't bad. Wasn't great either. Average game. Not a Overwatch clone or battle royal game which is what is currently in vogue so the players are not playing it. Not a huge surprise. I haven't checked if anything has changed but going purely by memory I think I recall not being in love with how they nickel and dimed players. Splash Damage is staffed by quality game developers that know how to make a great MP Team v Team game. Sony needs to just buy these guys out and then use them as the dev house for all those exclusives where they need to have some kind of MP piece added in. Eg. Uncharted, Last of Us, The Last Guardian, Bloodborne, Spiderman, Horizon Zero Dawn. Here you go, you've got a year and all the assets, make something good. Ahem. Splash Damage WAS bought out (by these guys). Otherwise, they would have long since gone belly up, after the commercial disaster that was "Brink" (in no small part due to the infamous PSN outage right at launch) and the rather bland "Dirty Bomb" (which went free-to-play right before the deal was signed).